Top 5 Accessories You NEED For Your Super Nintendo Classic System — GamingWithSwag.com - Dads By Day, Gamers By Night. Everyone knows that the SNES Classic comes out tomorrow, but the accessories might be scarce this time around. Just as we discussed around this time last year for the NES Classic, it's important to get equipped as soon as possible. Because when the holiday rush hits, you might be scrambling to find some of these coveted add-ons. Wow, PDP really outdid themselves with this one. This deluxe carry case features a soft foam interior to protect your 16-bit gem. The outer shell features an interchangeable plate system, where you can display your favorite game on the front of the case. Featuring six of the top games pre-loaded onto the system, you can personalize this case with your favorite game (including the new Star Fox 2!) 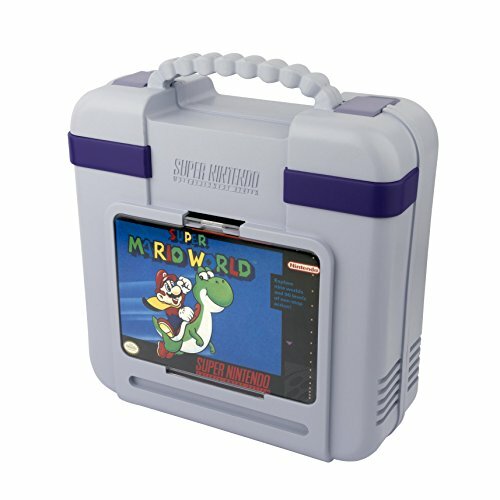 For on the go and just overall general storage, the SNES Classic Deluxe Carrying Case is an absolute must for any SNES Classic owner. 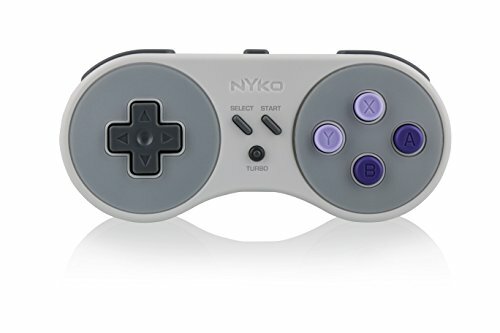 Featuring wireless RF connectivity, the Nyko Super Miniboss Wireless Controller for the Super Nintendo Classic System features one thing that other wireless controllers do not have. Rechargeable battery via Micro USB. Featuring a turbo mode and a nice classic ergonomic design, the Super Miniboss is perfect for retro gaming. It also has a really neat feature, by pressing the Turbo and the select buttons at the same time it will automatically take you back to the main menu of the system. This is great because now you can sit on the couch the entire time, instead of walking to the SNES Classic console and resetting the system. Oh, did you want to play Street Fighter II Turbo on your SNES Classic? Well you are going to want to have TWO of these bad boys ready and charged at all times. Featuring extra face buttons and turbo options, Hori has recreated the classic fight pad style controller with a retro feel. 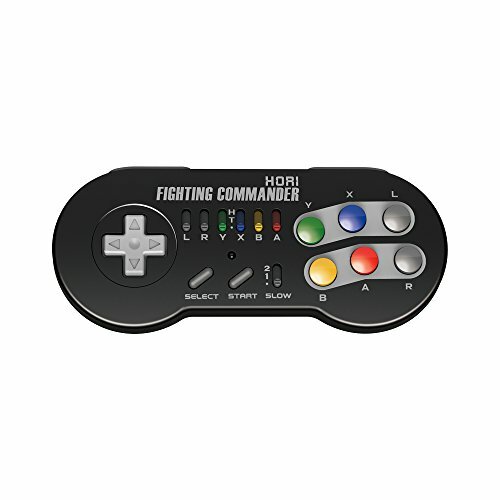 The Fighting Commander Wireless Controller also features two different slow-motion speeds, you know, in case the action gets too intense for you. Don't want to spend the extra cash for wireless controllers? No worries, orzly has you covered. 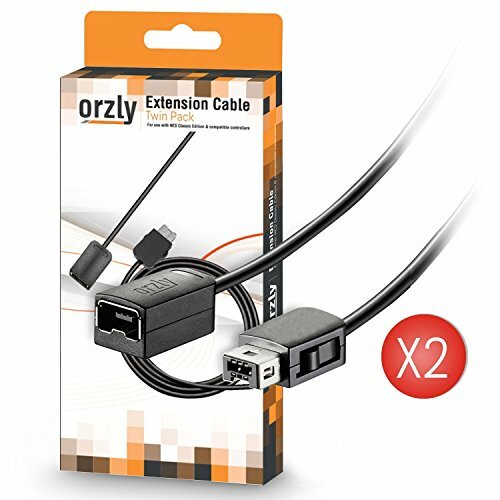 for under $20 (usually less), you can grab two controller extension cables for your SNES Classic system and extend your gaming reach by an additional 6ft. This is great, because you won't be sitting on the floor, two feet from the TV like you did back in 1991. Well worth the investment if you are going to stick with the standard wired controllers that come with the system. Also backwards compatible with the NES Classic controllers. Now sure you can browse the internet for the map of the Brinstar for Super Metroid, or check out Game FAQs on how to find hidden secrets in Earthbound, but wouldn't be better to go completely old school? Check out this retro strategy guide as it provides maps, tips, strategies and more for your favorite 16-bit games. 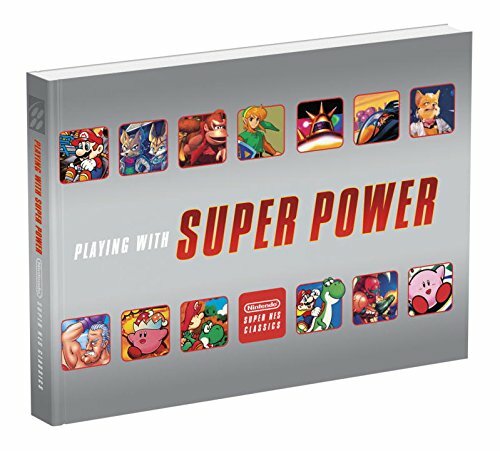 Also included is some history about the system and games, as well as an in-depth look at Star Fox 2, the previously unreleased title that makes a debut on the SNES Classic this Fall. So what do you think? Will you be getting any of these coveted accessories tomorrow on launch? Maybe add some to your holiday wish list? Hopefully these companies can keep up with the demand, as the SNES Classic System is shaping up to be the must have gift for the 2017 holiday season! Look for reviews on these products and more in the coming weeks.